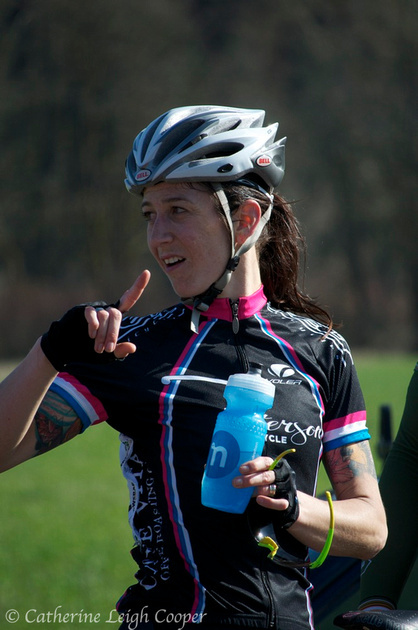 One of my downfalls as a bike racer is that I’ve never had a whole lot of patience. I’ll sit on the front of a race for 218937918 miles and chase down every.single.move no matter how unlikely it is to succeed. Training and working with a coach has not just made me fitter and faster but it’s also helped me a lot to race smarter. 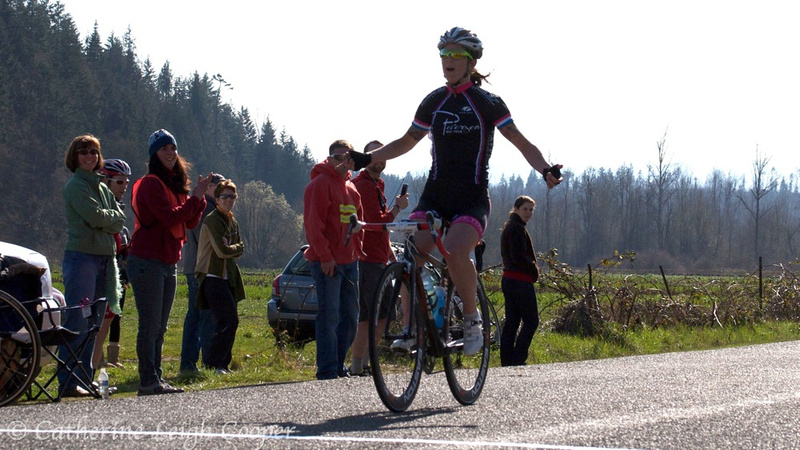 I’m going into races with plans (okay the plan for Sequim was not to do what I did but it worked so … whatever). 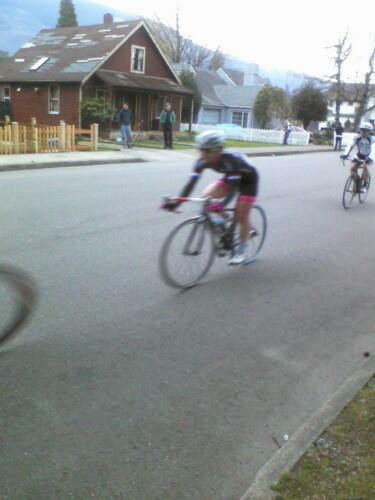 March 24 was Independence Valley Road Race. Every year I go into this racing thinking I can win it and every year I don’t win it. In 2009 as a Cat 4 it was dumping snow I got pipped at the line. In 2010 I ended up in a break with 5 women from the same team. Last year I spent all day in the break which went from 7 down to 5 and finally 3 riders. I got third from a break of 3 which is the same thing as getting last place. This year I had a plan and I shared that plan with my team and gave them full license to yell at me and berate me for not following my plan. I went into the race wanting to win and with a team of ladies who knew that I wanted to win and were willing to help me win. Independence Valley is raced on a ~20 mile circuit with two small climbs, one at the beginning of the circuit and the second about 7 miles from the finish line (not right before the finish line like I always picture it to be). Getting away over one of the climbs is definitely doable but staying away through the valleys is tough – especially if you’re solo. Lap one I sat in and did as little work as possible. Up the first climb on lap 2 I sort of attacked, hoping to take 4-6 girls with me. I got a solo gap with several chasers and it looked like our break was established until we were neutralized because we were catching some masters racers. We were kept neutral for several minutes and the whole pack came back together. I sat in for the rest of the second lap totally bummed that my plan wasn’t working. My teammates kept me close to the front and protected which was awesome. Every time I wanted to chase down some dumb attack they would do it for me. On the final lap up the first climb I decided to go for it and I attacked hard. I tried to get one girl to come with me but when I looked back I had a significant solo gap. I pushed hard through the flatter section of the climb and descended really aggressively into the valley. Through the valley I just kept the pressure on and even looked behind me a few times to make sure I still had a good gap. At the top of the second climb after being solo for about 10 miles, I had a 1:30 gap. That damn second climb is always way further from the finish than I think it should be and I knew that even though 1:30 was a good gap, it wasn’t enough to stave off a motivated chase. I pretty mu ch just mesmerized myself with my Garmin counting down the miles and I rode as hard as I possibly could through to the finish. Once I hit 1k I knew I’d made it. My salute this time wasn’t as cool as last time. I should have planned a little better. But in case anyone was confused and even though I was real tired, I was able to effectively communicate what place I’d finished. The rest of my team did awesome with JAC finishing 3rd in her first race as a Cat 3 (and getting out of the saddle to sprint) and Courtenay finishing 4th in the 1/2s. Everyone else seriously did a ton of work and killed themselves to get our team the win. Kelly took a 6 or 7 mile flier off the front and everyone else chased and strung things out the whole time. So I did it, I was patient and I won. 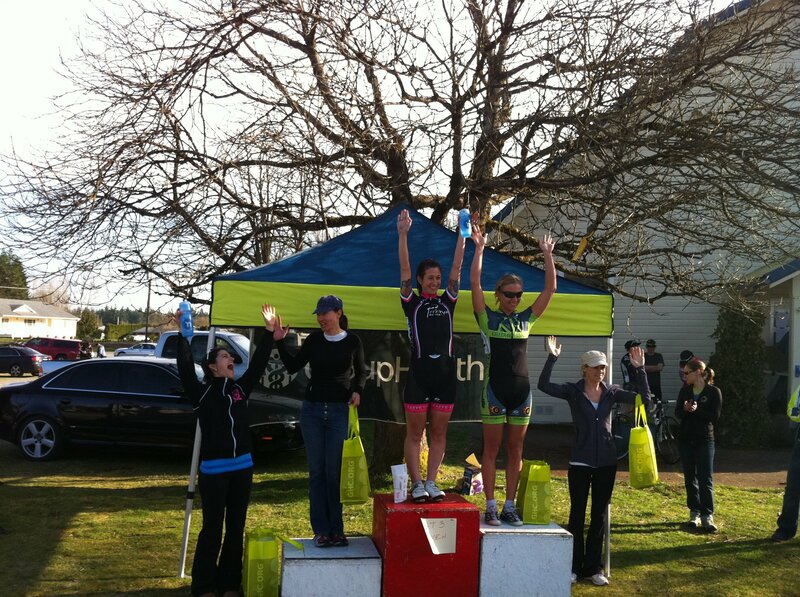 I also convinced myself that what I did at Sequim wasn’t a total fluke. I also got to stand on a podium which was cool. I did however realize that I totally need to work on my podium poses so I don’t look so much like I’m about to start a gymnastics routine. Sunday was the North Bend Crit which I raced with the Cat 3 men rather than the later women’s race because Niels and I had tickets to the bike works auction with our good buddy Bob Anderton. I wish I could say that North Bend went as well as IVRR but I’ll be honest. I kind of sucked. I gave up wheels like it was my job and cornered like a mouse. Every opportunity I had to attack and be aggressive I decided against it and I tailgunned most of the race. What it comes down to is that I was not aggressive in what was a not super fast race on a super safe course. I let myself get easily sketched out by all the big scary Cat 3 men and as a result kept putting myself into the most dangerous position in the race, the back. I always say that crits are not my thing and I think I need to stop doing that because I’ve really started to believe it and race like I believe it. Two weeks until the start of Sea Otter and the first race is the crit. I’m going to have at least two teammates, hopefully more if I can find more ladies to guest ride for Peterson. I’m trying super hard to not totally psych myself out with all kinds of negative talk. I’m super appreciative of all of the support from my family, friends, and teammates. I will do my best to not disappoint. This entry was posted in Racing and tagged palmare, race report, road race. Bookmark the permalink.